“On Seriality” is ready to start! 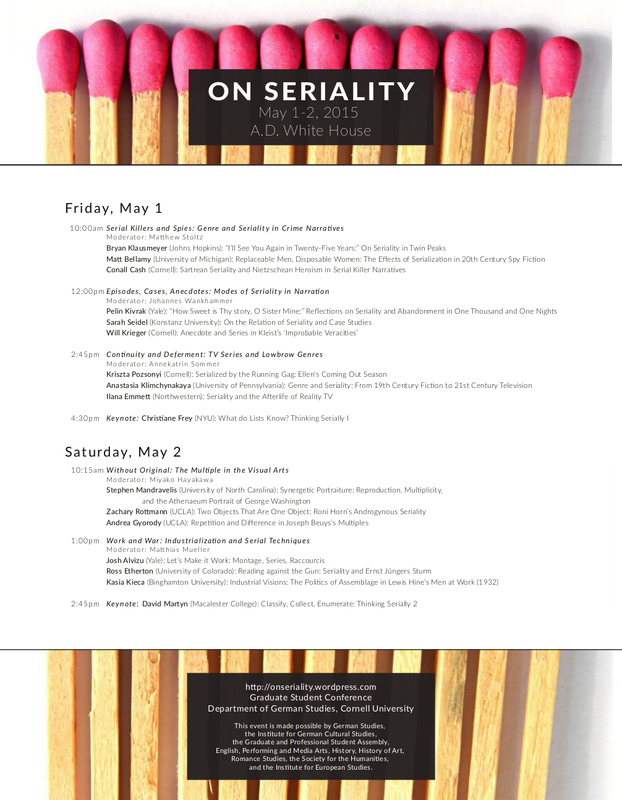 We are excited to see you at “On Seriality” at the A.D. White House today – breakfast at 9:30am, first panel (on spies and serial killers) starts at 10am! If you are taking the bus up to campus, remember to bring $1.50 for the bus fare! 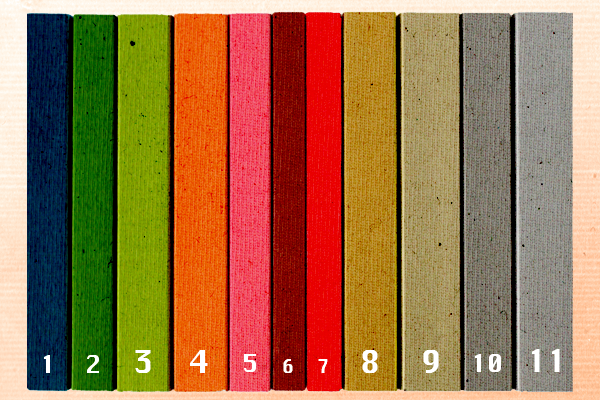 “On Seriality” is now on Facebook! our conference “On Seriality” is now also an event on facebook HERE. Come and join the event, invite other friends, ask questions, post pictures! See you next week in Ithaca, your conference team! Dear Serialists: The conference schedule is out: Come and take a look here! This conference aims to bring together the various angles mobilized by scholars in the humanities to approach the concept of “seriality”: the understanding of the series as an aesthetic form with a specific narrative and formal structure (the serial novel, television series, graphic novels); as a practice of production and publication linked to historical and material conditions, or, more specifically, as the common logic underlying mass media and mass production since the “age of mechanical reproducibility” (Benjamin); and as a mode of connecting and structuring sets of similar, related, or repeating events, objects or occurrences (ranging from historiography to discourses of pathology and crime). We are interested in the ways “seriality” can function as common ground for dialogue between these discourses, and look forward to exploring the intersections and interrelations between different manifestations of and approaches to seriality, as they relate to questions of repetition and continuity, singularity and iterability, sequences, intervals and episodes, conjunctions and transitions, unity and open-endedness. We welcome the exploration of seriality within the literary and cultural realm, but are equally interested in the function of seriality within other disciplines and contexts. Stay tuned for more information about the conference!